Anion A negatively charged ion in solutions such as bicarbonate, chloride or sulfate. Anion Exchange An ion exchange process in which anions in solution are exchanged for other anions from an ion exchanger. In demineralization, for example, bicarbonate, chloride and sulfate anions are removed from solution in exchange for a chemically equivalent number of hydroxide anions from the anion exchange resin. Attrition The process in which solids are worn down or ground down by friction, often between particles of the same material. Filter media and ion exchange materials are subject to attrition during backwashing, regeneration and service. Backwash The process in which beds of filter or ion exchange media are subjected to flow opposite to service flow direction to loosen the bed and to flush suspended matter collected during the service run to waste. Bed The ion exchange or filter media in a column or other tank or operational vessel. Bed Depth The height of the ion exchange or filter media in the vessel after preparation for service. Brine (Softening) A strong solution of salts, such as sodium chloride, and water used in the regeneration of ion exchange water softeners but also applied to the mixed sodium, calcium and magnesium chloride waste solution from regeneration. Calcium (Ca) One of the principal elements making up the earth’s crust, the compounds of which when dissolved, make the water hard. The presence of calcium in water is a factor contributing to the formation of scale and insoluble soap curds which are a means of clearly identifying hard water. Capacity An expression of the quantity of an undesirable material which can be removed by a water conditioner between servicing of the media (i.e. cleaning, regeneration or replacement, as determined under standard test conditions). For ion exchange water softeners, the capacity is expressed in grains of hardness removal between successive regenerations and is related to the pounds of salt used in regeneration. For filters, the capacity may be expressed in the length or total gallons delivered between servicing. Cation An ion with a positive electrical charge, such as calcium, magnesium and sodium. Cation Exchange Ion exchange process in which cations in solution are exchanged for other cations from an ion exchanger. Channelling The flow of water or other solution in a limited number of passages in a filter or ion exchange bed instead of distributed flow through all passages in the bed. Chloride (CI) An anion which forms acids when combined with hydrogen and salts when combined with metal ions. Chlorides can be corrosive and part a salty tasted to water. Compensated Hardness A calculated value based on the total hardness, iron and magnesium concentration of water. 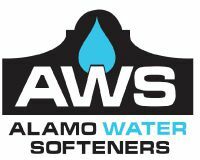 It is used to correct for the reductions in hardness removal capacity caused by these factors in cation exchange water softeners. Conductivity The quality or power to carry electrical current. In water, the conductivity is related to the concentration of ions capable of carrying electrical current. Corrosion The destructive disintegration of a metal by electrochemical means. Dissolved Solids the weight of matter in true solution in a stated volume of water. Includes both inorganic and organic matter and is usually determined by weighing the residue after evaporation of the water. Effluent The stream emerging from a unit, system of process such as the softened water from an ion exchange softener. Exhaustion The state of an ion exchange material in which it is no longer capable of effective function due to the depletion of the initial supply of exchangeable ions. The exhaustion point may be defined in terms of a limiting concentration of matter in the effluent or, in the case of demineralization, in terms of electrical conductivity. Fouling The process in which undesirable foreign matter accumulates in a bed of filter media or ion exchanger, clogging pores and coating surfaces and thus inhibiting or retarding the proper operation of the bed. Freeboard The vertical distance between a bed of filter media or ion exchange material and the over flow or collector for backwash water. Grain (gr) A unit of weight equal to 1/7000 of a pound or 0.0648 gram. Grain per Gallon (gpg) A common basis for reporting water analysis in the United States and Canada. One grain per U.S. gallon equals 17.1 milligrams per liter (mg/l) or parts per million (ppm). Hardness A characteristic of natural water due the presence of dissolved calcium and magnesium. Water hardness is responsible for most scale formation in pipes and water heaters and forms insoluble “curd” when it reacts with soaps. Hardness is usually pressed in grains per gallonn (gpg), parts per million (ppm) or milligrams per liter (mg/l), all as calcium carbonate equivalent. Hard Water Water with a total hardness of 1 gpg or more as calcium carbonate equivalent. Hydrologic Cycle The natural water cycle, including preciptation of water from the atmosphere as rain or snow, flow of water over or through the earth and evaporation or transpiration to water vapor in the atmosphere. Influent The stream entering a unit, stream or process, such as the hard water entering an ion exchange water softener. Ion An atom, or group of atoms, which function as a unit and have a positive or negative electrical charge due to the gain or loss of one or more electrons. Ion Exchange A reversible process in which ions are released from an insoluble permanent material in exchange for other ions in a surrounding solution; the direction of the exchange depends upon the affinities of the ion exchanger for the ions present and concentrations of the ions in the solution. Magnesium (Mg) One of the elements making up the earth’s crust, the compounds of which, when dissolved in water, make the water hard. The presence of magnesium in water is a factor contributing to the formation of scale and insoluble soap curds. Milligrams per Liter (mg/l) A unit concentration of matter used in reporting the results of water and waste water analysis. In dilute water solutions, it is practically equal to parts per million but varies from the ppm in concentrated solutions such as brine. As most analysis are performed on measured volumes of water, the mg/l is a more accurate expression of the concentration and is the preferred unit of measure. Mineral A term applied to inorganic substances such as rocks and similar matter found in the earth strata as opposed to organic substances such as plant and animal matter. Minerals normally have definite chemical composition and crystal structure. The term is also applied to matter derived from minerals such as the inorganic ions found in water. the term has been incorrectly applied to ion exchangers, even though most of the modern materials are organic ion exchange resins. Mineral Salts The form in which minerals from dissolved rock exist in water. Same as Total Dissolved Solids This is the sol called inorganic form of minerals. In excess, they cause water to have a disagreeable taste. Some are harmful to human health. Parts per Million (ppm) A common basis for reporting the results of water and waste water analysis, indicating the number of parts by weight of a dissolved or suspended constituent per million parts by weight of water or other solvent. In dilute water solutions, one part per million is practically equal to one milligram per liter, which is the preferred unit. 17.1 ppm equals one grain per U.S. gallon. 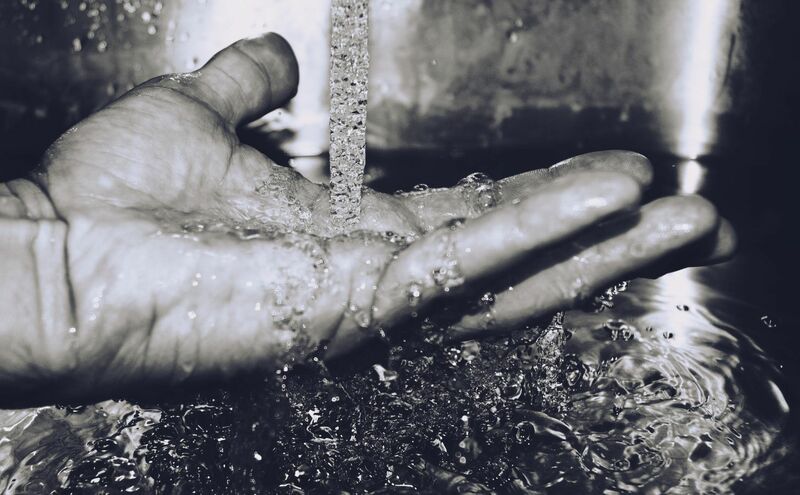 Potassium Chloride (KCI) A compound consisting of potassium and chloride, becoming increasingly popular as a substitute for sodium chloride in regenerating water softeners. Raw Water Untreated water or any water before it reaches a specific water treatment device or process. Regenerant A solution of a chemical used to restore the capacity of an ion exchange or oxidation system. Regeneration In general, includes the backwash, brine and fresh water rinse steps necessary to prepare a water softener exchange bed for service after exhaustion. Specifically, the term may be applied to the “brine” step in which the sodium chloride solution is passed through the exchanger bed. The term may also be used for similar operations relating to demineralizers and certain filters. Resin Synthetic organic ion exchange material such as the high capacity cation exchange resin widely used in water softeners. Resistance The ability of a substance to resist carrying an electrical current, measured in ohms. Slippage Is used as a general term in water conditioning, referring to the amount of the problem which remains after the water passes through the process that was expected to remove that problem. Soap One of a class of chemical compounds which possesses cleaning properties, formed by the reaction of a fatty acid with a base of alkali. Sodium and potassium soaps are soluble and useful but can be converted to insoluble calcium and magnesium soaps (curd) by the presence of these hardness ions in water. Sodium (Na) An ion found in natural water supplies and introduced to water in the ion exchange water softening process. Sodium compounds are highly soluble and do not react with soaps or detergents. Sodium Chloride (NaCI) The chemical name for common salt, widely used in the regeneration on ion exchange water softeners. Soft Water Any water which contains less than 1.0 gpg (17.1 mg/l) of hardness minerals, expressed as calcium carbonate equivalent. Softened Water Any water that is treated to reduce hardness minerals, expressed as calcium carbonate equivalent. Tannins A substance resulting from the decomposition of lignins in vegetable matter. The resulting color is aesthetically undesirable but does not pose a health hazard. Total Dissolved Solids (TDS) The weight of solids per unit volume of water which are in true solution, usually determined by the evaporation of a measured volume of filtered water and determination of the residue weight. Total Hardness The sum of all hardness constituents in a water, expressed as their equivalent concentration of calcium carbonate. Primarily due to calcium and magnesium in solution but may include small amounts of metals such as iron which can act like calcium and magnesium in certain reactions (see hardness). 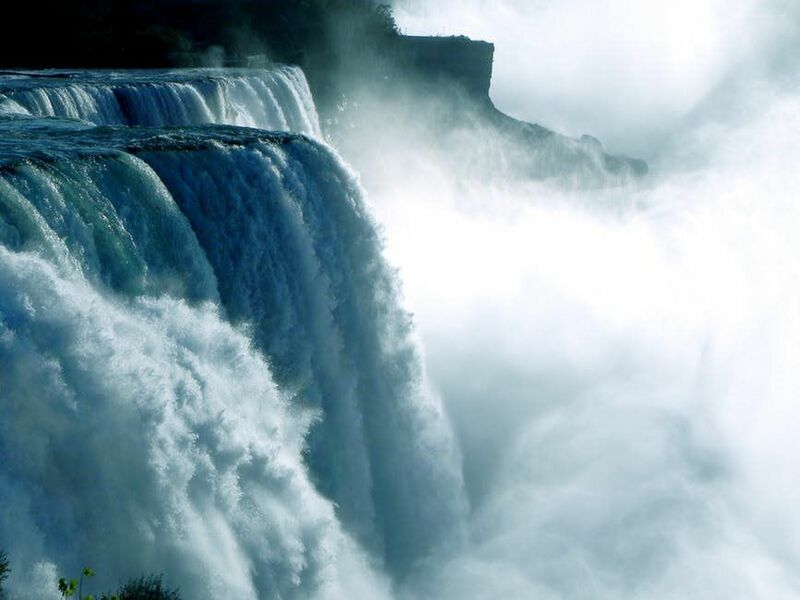 Water Softening The removal of calcium and magnesium, the ions which are the principal cause of hardness, from water.